 Attending Solar Canada 2018 after finishing installation of heat collector panels | CRE Green creates the rare opportunity for you to use the SUN to heat/cool & power your home! 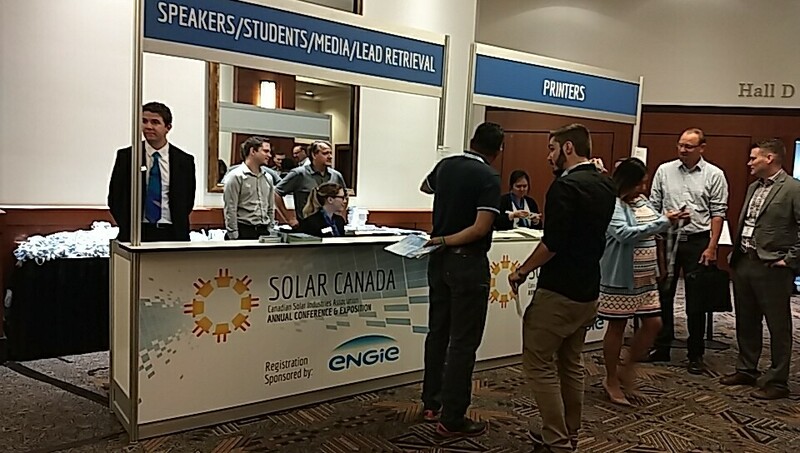 After finishing installing heat collector panels for both set A and set C (see two pictures for each finished set), one of our installation team could attend the Solar Canada 2018 expo in Calgary – this expo typically hold in Toronto and this year 2018 is the fist time in Calgary and next year 2019 also in Calgary. 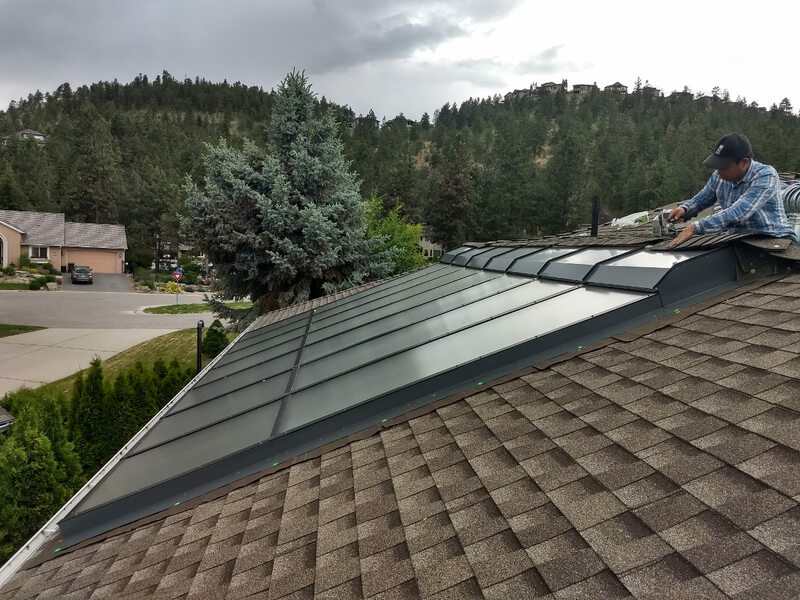 Glad to see two companies SolarWall and Digital Solar Heat are doing something that can be categorized as solar heating. 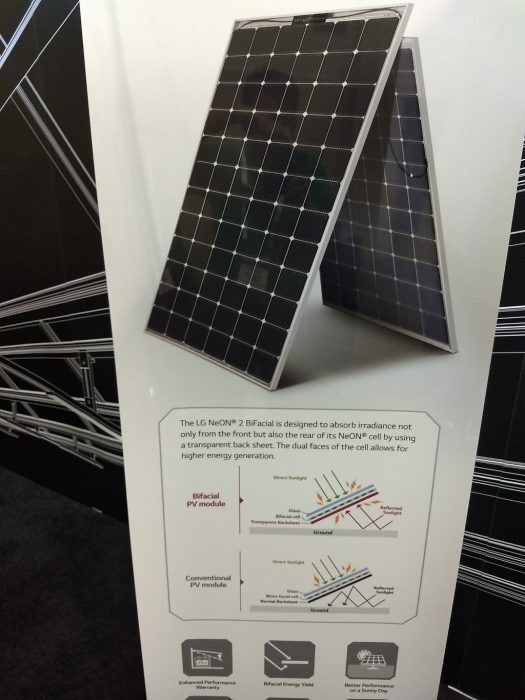 SolarWall creates an 8-inch thick space on top of the south facing wall using perforated steel or aluminum sheets so that incoming air can be heated up and then fed into existing HVAC system. 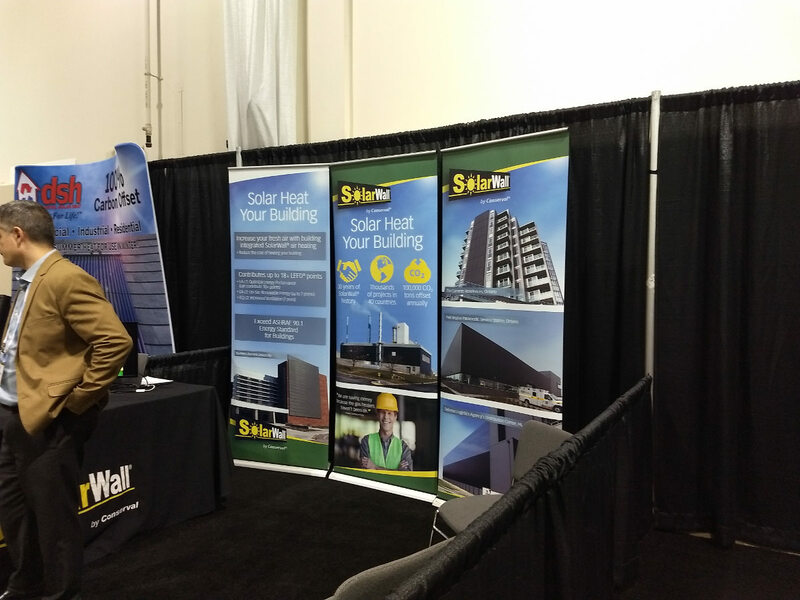 Retrofitting of SolarWall to an existing building is relatively easy. However, no heat storage is in place and their system operates only in winter for heating. No summer cooling function is considered. To the left of SolarWall’s booth on the above picture is Digital Solar Heat’s booth. 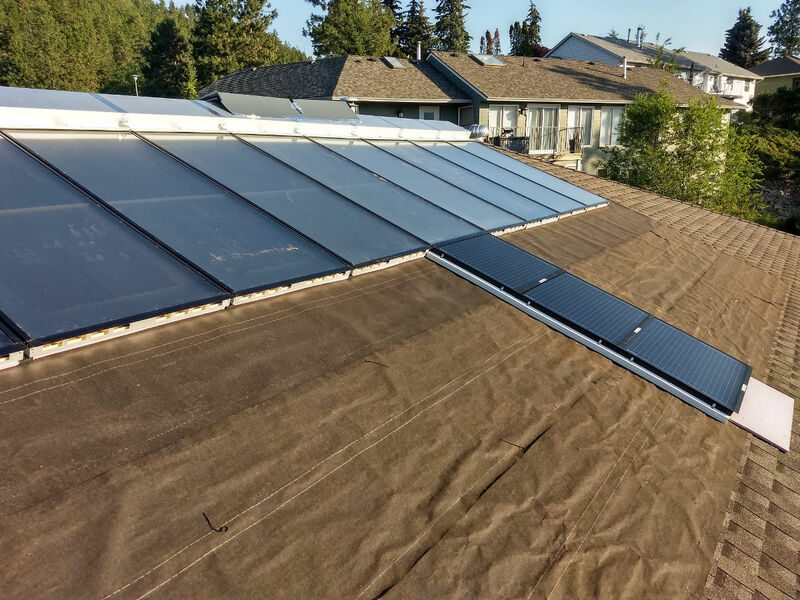 DSH is using solar vacuum tubes as heat collectors and store the heat in dirt filled in a large and deep insulated area right underneath the house’s slab foundation. 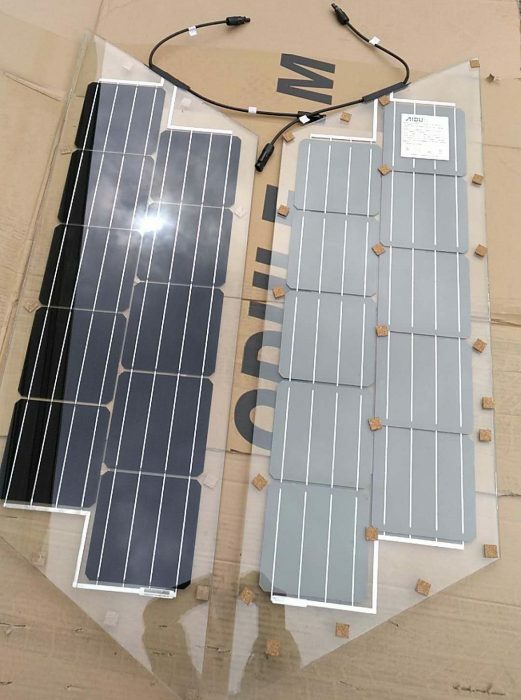 In a nutshell, it is a water-based solar heating and storage system and can be considered as solar aided geo-thermal system. As their name suggests, it heats a house only with no cooling mechanism being built in. 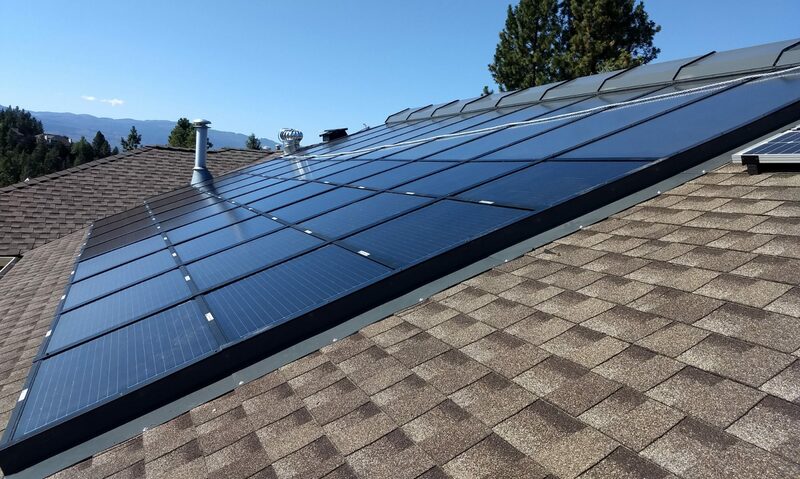 While these two systems truly prove that solar heating is useful in areas that have long and cold winter days, we are glad to say that our air-based Solar HVAC system can do both the solar heating and cooling simply by reversing the who process: collecting/storing hot air in winter days for night use and collecting/storing cool air in summer nights for day use.